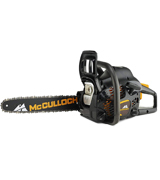 With 4.4 kilograms in weight, the model is easily the lightest gas chainsaw in its category. The centrifugal air cleaning system reduces wear and extends the operation time between the filter cleanings. The snap-lock cylinder cover will help you save some time when changing spark plugs and cleaning. The chainsaw produces quite a lot of noise. 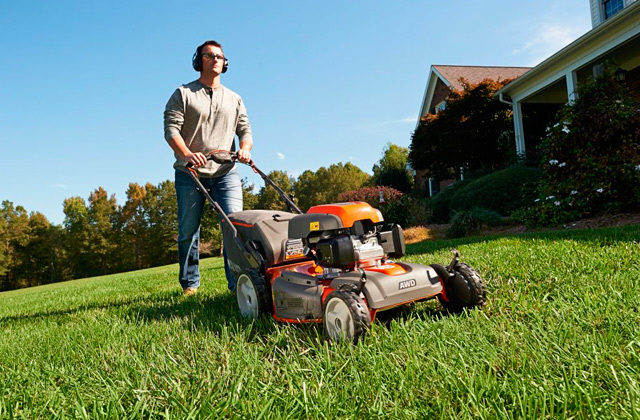 The Husqvarna 135 is all about flexibility and convenience. A number of useful features make it really easy to start the saw and operate it. 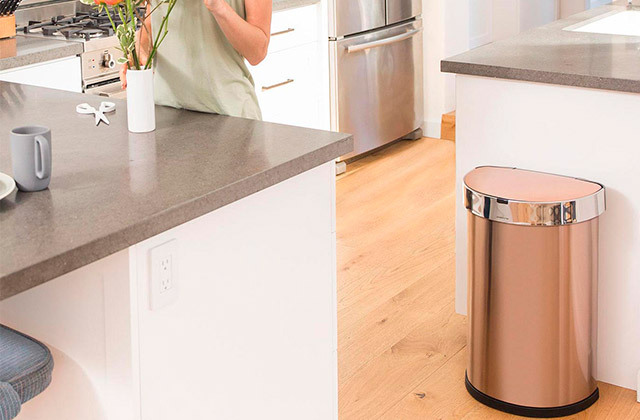 The model is also an eco-friendly choice and surprisingly easy to maintain. Regardless of your level of expertise, you'll definitely be able to put this tool to good use. CCS pre-cleans the air entering the chainsaw. A system like that removes any large particles, be it dust or debris, before reaching the main air filter. The company's very own OxyPower engine technology doesn't just provide you with a lot more power to get the job done but also discharges 70% fewer emissions, all while using 20% less fuel. The combined controls might take some time to get used to. 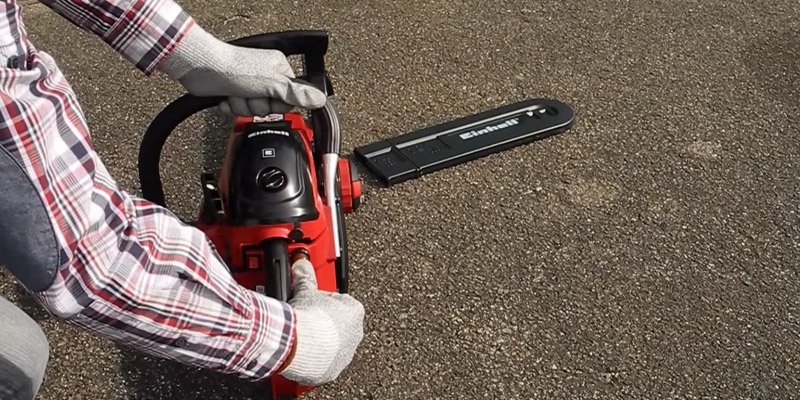 There is a lot to like about this petrol chainsaw. It doesn't lack in versatility and it will easily allow you to rid yourself of problem trees, trim those branches or cut your own firewood. So don't hesitate to bring out your inner lumberjack and take these simple matters into your own hands. 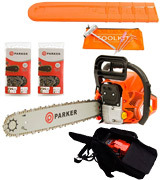 The package contains a carrying bag for comfortable transportation of the tool, two chains, a scabbard, and a tool kit. Some users find it quite heavy. Fitted with a powerful engine and a long bar, this ParkerBrand model is suitable for both construction sites and gardening. Delivering power enough to cut even quite stout trees, this saw will be a nice addition to the collection of any homeowner. 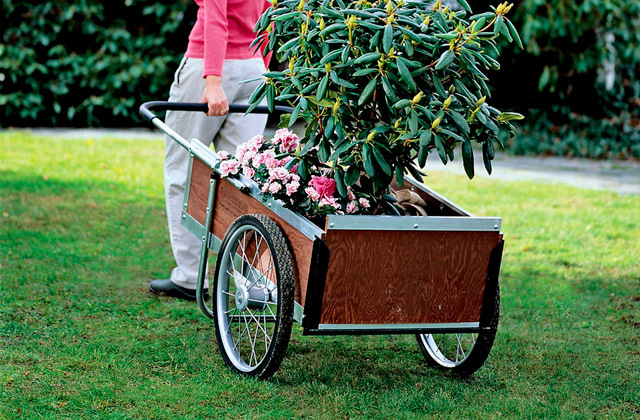 With the powerful 3.5 HP / 62 cm³ engine at your disposal, you will be able to easily chop down any kind of wood. The package includes a carry bag and a bar cover. The latter protects the cutting links from getting damaged and keeps the bar in pristine condition. The side-mounted chain tensioner makes the process of chain adjustment quick and easy. The handle is a bit stiff so we would recommend getting a pair of gloves. 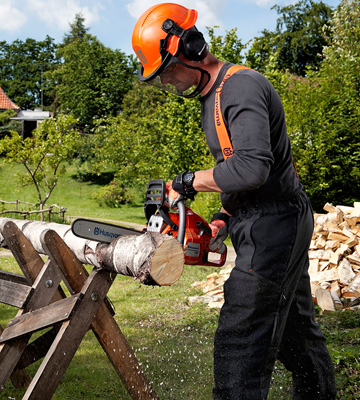 The P1PE P6220C is a petrol chainsaw that is defined by its power and the cutting capacity. With its help, you will be able to tackle just about any task, from felling large trees to performing smaller clearance jobs. There's no such thing as tough sawing conditions as long as you have this saw by your side. 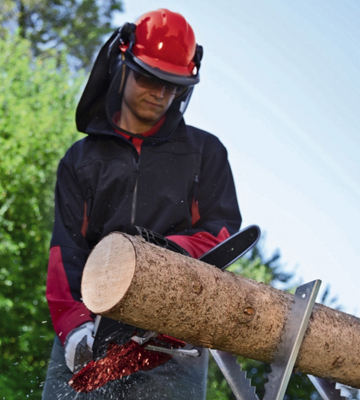 The blade's large and robust claw practically bites into the wood, making the petrol chainsaw particularly suitable for cutting-to-length jobs. That claw can also serve as a pivot point whenever you need to saw horizontal trunks. The crankshaft comes equipped with bilateral bearings, allowing the engine to run without producing powerful vibrations. The fuel tank's capacity is relatively limited. 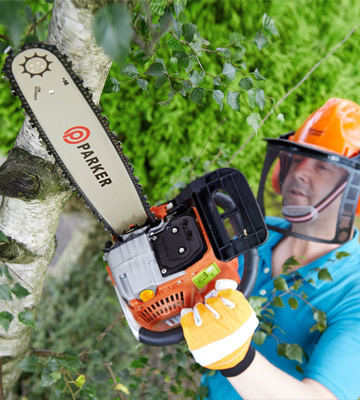 What we have here is a particularly handy chainsaw that can be used for a number of mains-independent sawing operations in the garden, including sawing of firewood, thinning of stronger branch growth or felling of smaller trees. The affordable price makes it a great option for beginners. 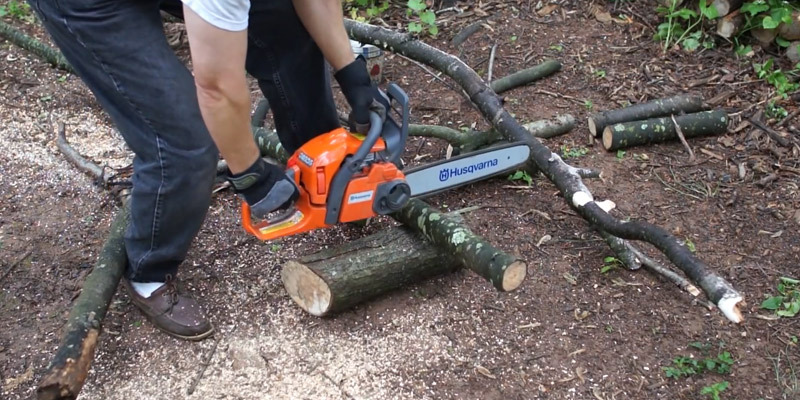 The Husqvarna 135 is by no means a gas chainsaw that lacks in power. In fact, with a 2 HP / 40.9 cm³ engine, the model is more than able to hold its own against some of the more powerful options on the market. But the best thing about it is probably how easy it is to use and the kind of opportunities it offers in terms of manoeuvrability. First, we would like to start with the soft inlay, ergonomic trigger and an asymmetrical handle as both of these components are the biggest driving force behind the model's comfort and convenience of use. It is also the fuel pump and the auto return stop switch that make it really easy to start this small petrol chainsaw and to get going chomping down the trees. But the convenience certainly doesn't stop there as the manufacturers had the foresight to implement a number of features that simplify the sawing process or make it a lot more enjoyable. 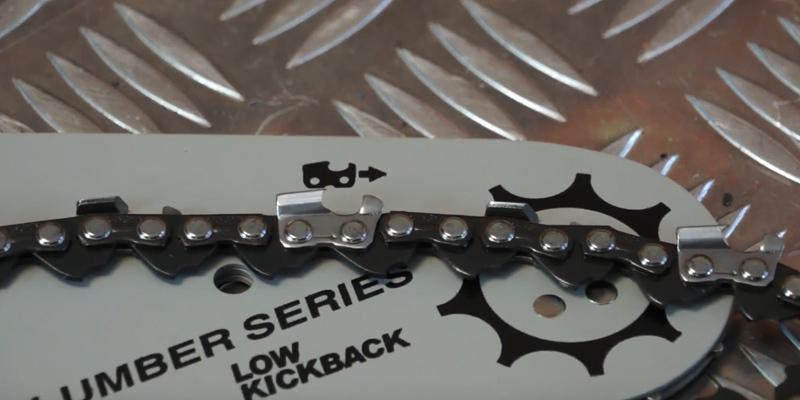 For instance, there's the side-mounted chain tensioner that is responsible for making chain adjustment about as quick and easy as it could get. The seemingly small feature makes this product considerably more versatile and further expands the range of potential customers. By the way, it isn't just the model's flexibility and convenient operation that help the company sell this product. We'd say that one of the better parts of this model is the X-Torq® engine. 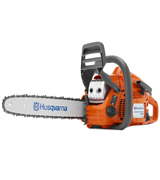 Aside from the aforementioned respectable power, the thing about this engine that makes the chainsaw itself so attractive to a number of different customers is its lower fuel consumption and reduced emission levels. Being one of the more environmentally friendly options, the model will fit the eco-conscious to a tee. Other than that, we would like to highlight the centrifugal air cleaning system that does wonders in terms of reducing wear and extending the operation time between the filter cleanings. Chopping down trees with this petrol chainsaw won't prove to be much of a challenge either, with distinct felling marks that provide better felling precision. Not dissimilar to the majority of similar products, the model comes equipped with anti-vibration dampeners that absorb the bulk of the vibrations, essentially sparing the owner's arms and hands. 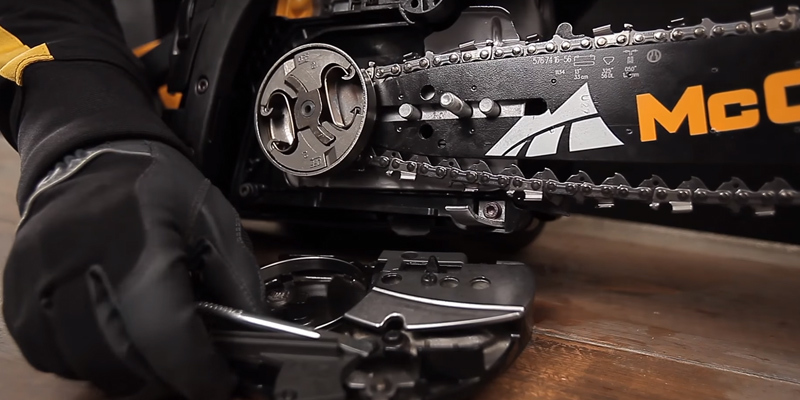 Maintaining this chainsaw won't be difficult too, mostly thanks to the combined choke/stop control that reduces the risk of engine flooding and the snap-lock cylinder cover that will help you save some time when changing spark plugs and cleaning. In conclusion, the Husqvarna 135 is all about flexibility and convenience. The ridiculous number of convenient features make it really easy to start the saw and operate it. The model is also an eco-friendly choice and surprisingly easy to maintain. Regardless of your level of expertise, you'll definitely be able to put this tool to good use. Generally speaking, a petrol chainsaw is a very useful tool but it is also one of the more demanding tools. An average chainsaw like that requires a lot of attention in terms of maintenance. Fortunately, that isn't necessarily the case with McCulloch CS 42S. Though the model has quite a lot to offer in other departments, we would first like to focus on the question of maintenance. 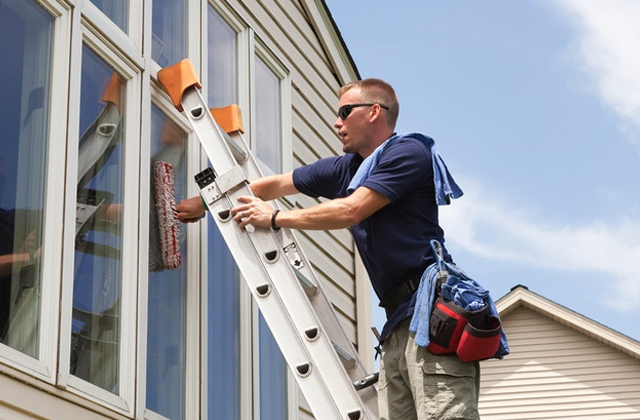 For starters, we would like to talk about the chainsaw's centrifugal cleaning system (CCS). Simply put, what makes the said system worth your attention is a setup that essentially pre-cleans the air entering the chainsaw. A system like that removes any large particles, be it dust or debris, before reaching the main air filter. Thanks to CCS, the saw will be able to maintain performance for longer periods of time. Plus, the system in question is also helpful in terms of reducing the need to clean the air filter. Of course, the environmentally conscious crowd aren't generally too psyched about petroleum-based machinery. And while we can't say that the model will allow you to reduce your environmental footprint, we can say that the company's very own OxyPower engine technology doesn't just provide you with a lot more power to get the job done but also discharges 70% fewer emissions, all while using 20% less fuel. Setting all of that aside, we would be remiss not to mention the Soft Start system that is responsible for making the chainsaw noticeably easier to start. The system does that by reducing the resistance in the starter cord by up to 40%, a smart solution that simplifies the operation without sacrificing the performance. 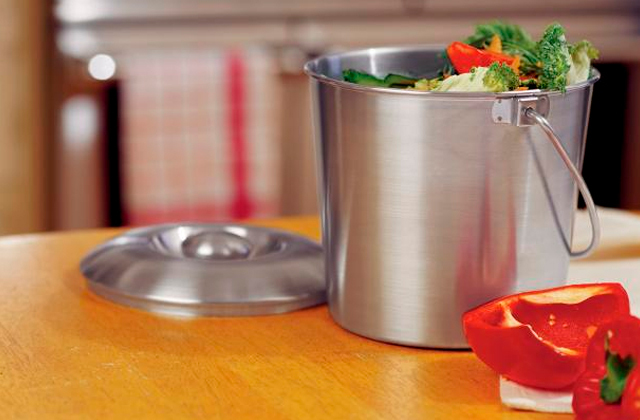 As per usual, the company also didn't forget to incorporate a soft grip handle that will help your hands get away unscathed even after hours of chopping. Finally, we would like to mention the safety measures as safety should always be the number one priority when it comes to dealing with these tools. First, there's the chain brake lever that will activate by contact from the left wrist in the event of kickback. On top of that, the model offers additional safety measures with a setup that activates the break by inertia protecting the user from potential injury. The only real downside of this product is that, while the combined choke/stop controls make the model far more convenient and effective, it isn't the simplest setup out there and it may take some time to get used to. 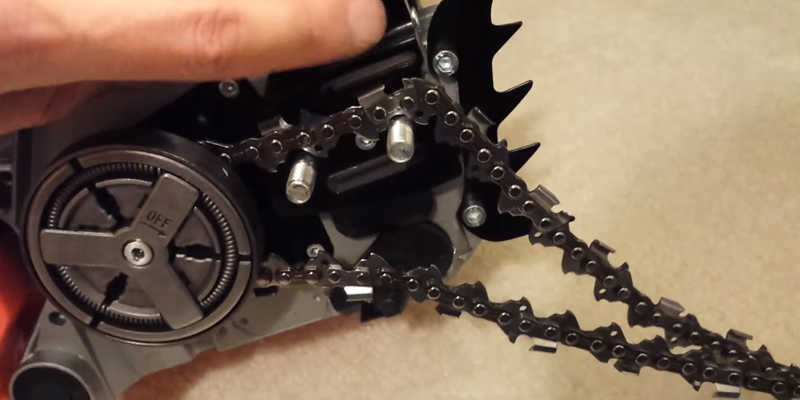 Other than that, there is a lot to like about this petrol chainsaw. It doesn't lack in versatility and it will easily allow you to rid yourself of problem trees, trim those branches or cut your own firewood. So don't hesitate to bring out your inner lumberjack and take these simple matters into your own hands. Let's take a look at the Parker PCS-6200. Being one of the affordable models on the market, it nevertheless boasts great performance. However, before we go deeper into performance characteristics, let us consider its construction first. This saw looks pretty standard by appearance, except for the handle that here, unlike many other saws, is made of metal and coated with plastic for an operator's confident grip. The metal adds weight to the tool, and it also makes it much sturdier and more durable. Thus, even if you'd dropped it down accidentally to the ground on some hard surface, it wouldn't break like the majority of plastic counterparts. The handle isn't the only thing that is worth a note. 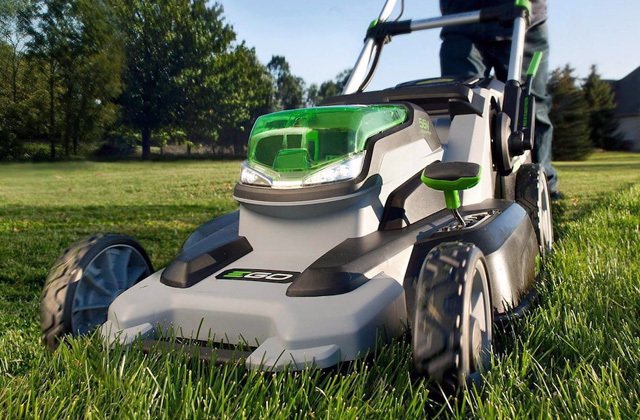 The Parker PCS-6200 also has a capacious 62 cm³ engine with 3.5 HP power output. In view of such rates, it's obvious this saw was designed for serious tasks. When the tool was put to test, it demonstrated outstanding performance grappling with logs 30 to 60 cm thick. The arrangement of control buttons is traditional here. The throttle trigger and lockout button are placed on the rear handle. To the right of the handle, there's a primer bulb and an ON/OFF switch, and to left of the engine, there's a starter grip and two tanks for oil and gas. 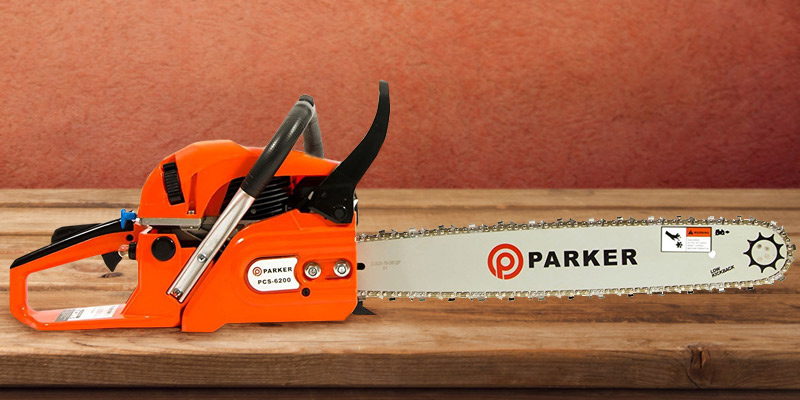 Now when we know this ParkerBrand chainsaw's potential, it comes as no surprise it comes fitted with a 20-inch guide bar. The bar this long allows this saw to cope with most challenging tasks. Featuring a semi-chisel .325" pitch chain, it's able to literally run through wood making quick and neat cuts. As for safety features, we'd like you to take a note of a fast-acting brake this ParkerBrand 62CC comes equipped with. It prevents unintended start of the engine and therefore, minimises risks of injuries. Anyway, like they say, safety comes first, and it's always better to take extra precautions. Therefore, we recommend you to wear hearing protectors every time when operating the saw. Using a heavy-duty engine and a long bar allowed the manufacturer to improve the saw performance, but it came at a price. 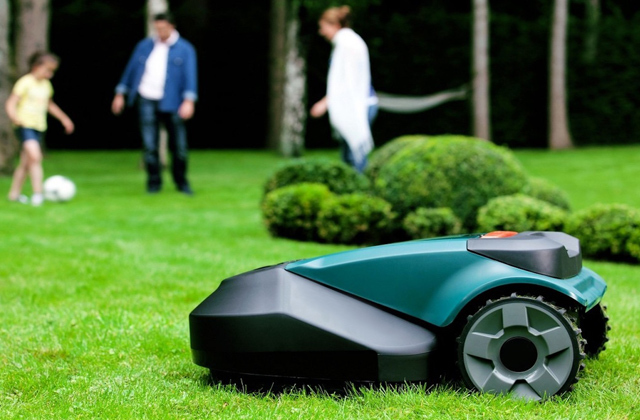 Compared to other models from this review, the ParkerBrand 62CC is quite heavy. What you might also not like is that the fuel tank here isn't very big, especially for such power. What makes things better, however, is a 260-mm oil tank that reduces the need to change oil too often. When put in action, the ParkerBrand 62CC didn't produce a lot of vibration, thanks to the anti-vibration isolation system used. However, its operation seemed quite loud. Thus, we think you will do a right thing if you wear special protective earmuffs. In the package, alongside the saw, you'll also get 2 chains and a maintenance toolkit. 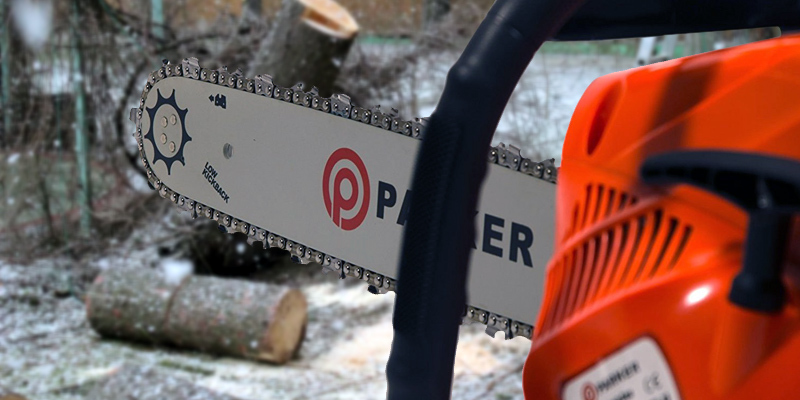 Summing up this review, we can recommend the ParkerBrand 62CC to all users who need a reliable and powerful saw for household jobs and construction projects requiring high power and a lengthy bar. As an added bonus, the ParkerBrand 62CC comes with a carry bag that has a special compartment for a bar and a chain. Thus, you will not need to detach it each time when taking it to go. This makes it very convenient for transportation. 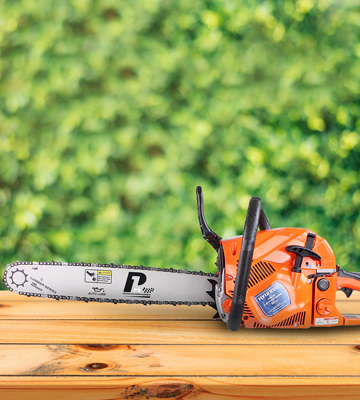 The P1PE P6220C is an absolute powerhouse of a chainsaw. With 6.8 kilograms of weight, we wouldn't really be able to describe it as one of the lighter options on the market. But the weight was the necessary sacrifice since it is there due to the ridiculously powerful 3.5 HP / 62 cm³ engine. This is a heavy-duty chainsaw that was clearly designed for some of the tougher sawing conditions. Aside from the engine itself, there are also the 20-inch bar and a chain that will allow you to tackle just about any task, from felling large trees to performing smaller clearance jobs. 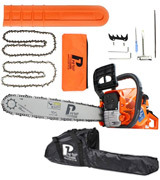 Considering the size of the bar and the chain and the powerful engine, the model is actually surprisingly light, making it a far better option in terms of transportation and delivering a comfortable user experience during some of the more extensive use than the absolute majority of similar chainsaws. 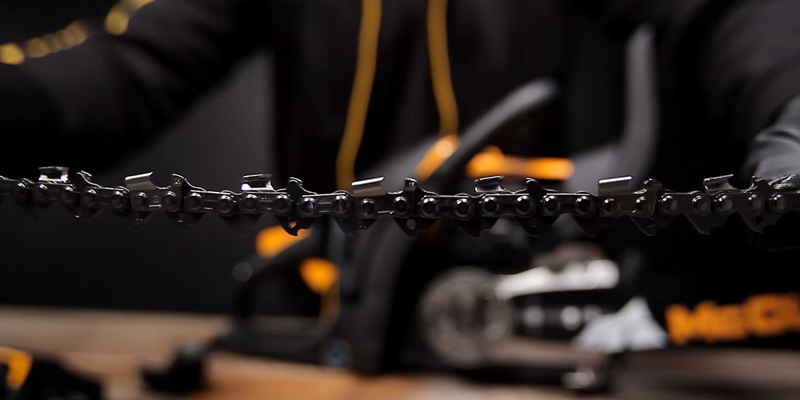 Now, as we all know, the bar and the chains are one of the most important parts of any petrol chainsaw but, unfortunately, they aren't one of the sturdier ones. It is quite easy to cause all kinds of damage to the said components, especially while transporting the saw from one place to the other. Which is why the manufacturers were smart enough to include a carry bag and a bar cover. The latter protects the cutting links, by far the most important and the most fragile part of the chains, from getting damaged and keeps the aforementioned bar in pristine condition. Though the model's power and cutting capacity are definitely its most defining characteristics, we would be remiss not to talk about a few other elements of this chainsaw that make it all the more attractive to experienced and amateur woodcutters. For example, there's the side-mounted chain tensioner that makes the process of adjustment quick and easy. Naturally, this is a tool that is mostly designed for heavy duty, but the latter part also makes it surprisingly suitable for smaller jobs. The chain tension is also easy to adjust. All you'll need is a screwdriver or a wrench that come with the chainsaw. Speaking of chains, the model incorporates an automatic chain lubrication, a nice little system that does a pretty good job of keeping the chain lubricated in order to maximise its service life. 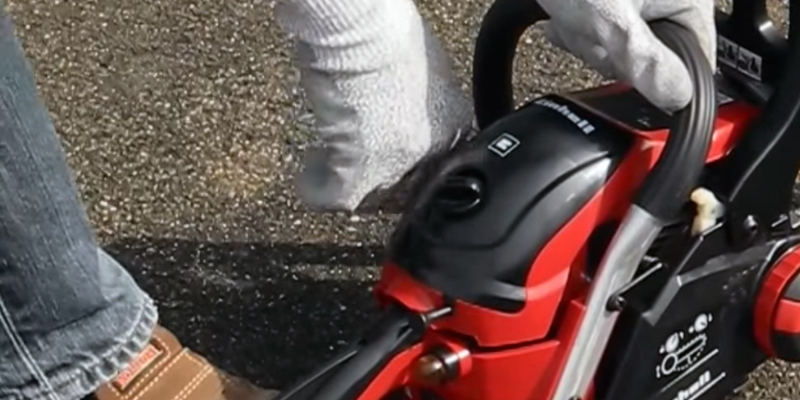 The usual petrol chainsaw solutions are there as well like the soft pull recoil start system or the anti-vibration technology that increases the level of comfort and protects the hands of the user. 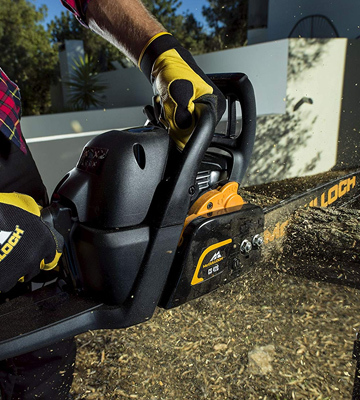 All in all, the P1PE P6220C is a petrol chainsaw that is defined by its power and the cutting capacity. With its help, you will be able to tackle just about any task, from felling large trees to performing smaller clearance jobs. There's no such thing as tough sawing conditions as long as you have this saw by your side. Generally speaking, a petrol chainsaw isn't necessarily the cheapest tool out there. But there's nothing quite like it when it comes to felling and cutting wood. So, if you happen to be on a bit of a tight budget but would still like to get a capable chainsaw, we would recommend looking into Einhell GC-PC 1335 TC. What the product offers is just about everything you would want out of a tool like that without asking for an arm and a leg. The best part of this model is probably the 35-centimetre blade and the chain from Oregon. The company is known for quality products and these components are no exception to that rule, allowing the tool to deliver outstanding cutting performance across the board. Plus, both the sturdy blade and the sharp chain do not just ensure the said cutting performance but also clean cutting results at any time. Of course, 35 centimetres of length do not necessarily make the blade one of the lengthier options on the market but its large and robust claw practically bite into the wood, making the petrol chainsaw particularly suitable for cutting-to-length jobs. That claw can also serve as a pivot point whenever you need to saw horizontal trunks. 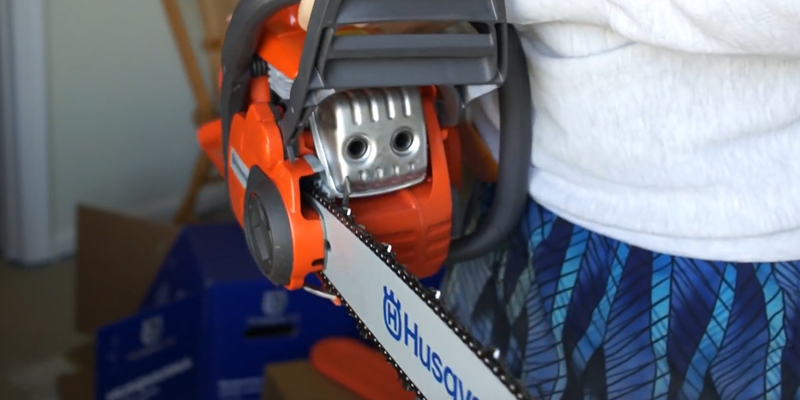 Being one of the more affordable options on the chainsaw market, the model naturally attracts more of the beginner crowd. So the manufacturers made sure to equip their product with every solution that is necessary for the inexperienced users. For example, we could point out the composition that allows the customer to tension and change the chain without any tools whatsoever, offering the sort of easy chain set up that is simply ideal for beginners. That said, both the experienced and the inexperienced customers will be able to appreciate the ergonomic handle as well as the highly effective anti-vibration system. The said components will allow you to carry out some of the longer lasting sawing operations without experiencing too much fatigue. Now, to be fair, the anti-vibration system isn't solely responsible for that sort of convenience as there's also the crankshaft that comes equipped with bilateral bearings, allowing the engine to run without producing powerful vibrations. With that out of the way, we wouldn't mind to briefly mention the fact that both the cutter rail and the chain are lubricated automatically, so the petrol chainsaw does not require much in terms of maintenance. Finally, the model does not trail behind in terms of safety measures. All it takes is some pressure on the finger guard in order to trigger the chain brake and stop the chain within a matter of milliseconds. 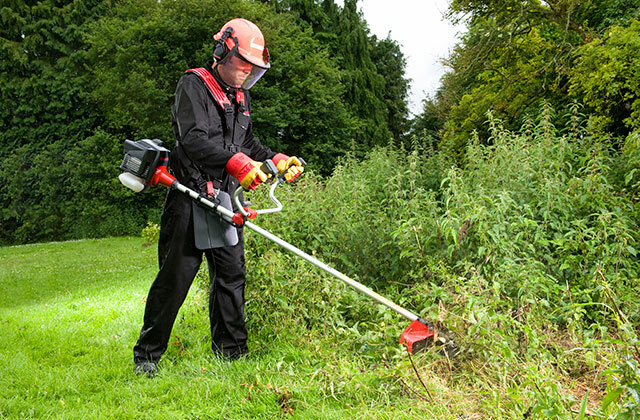 In short, what we have here is a particularly handy chainsaw that can be used for a number of mains-independent sawing operations in the garden, including sawing of firewood, thinning of stronger branch growth or felling of smaller trees. The affordable price makes it a great option for beginners. A gas chainsaw is a must-have tool for every owner of a detached house. Cutting dead limbs and pruning crowns of trees is a routine job of all those who possess gardens and yards. 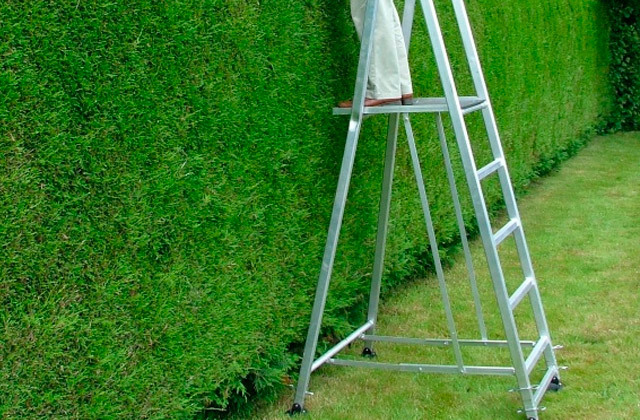 And doing it with a handheld saw might not be the best idea, given how much time it may take. For all these tasks, the best solution would be to get yourself a gas chainsaw, a powerful mechanical saw specifically designed for cutting stout trees, ice, and even concrete. 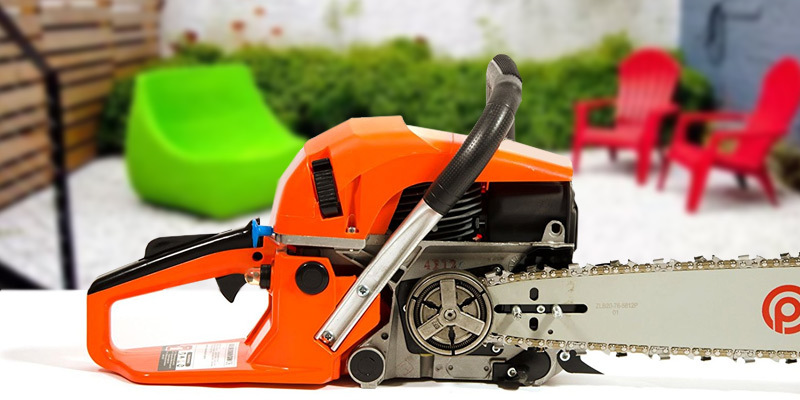 We offer you to take a look at our 5 best gas chainsaws reviews, learn specifications of different models and choose the perfect saw suitable for your activities. Remember any petrol-powered chainsaw can be used only outdoors because of hazardous exhaust gases it emits during operation. 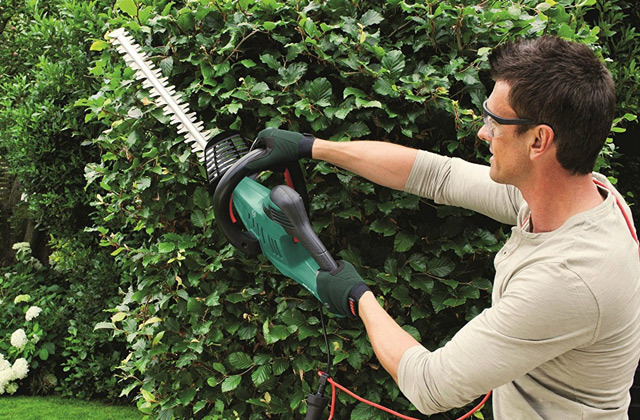 For indoor use, we'd recommend you to consider buying either an electric chainsaw or a circular saw. When buying a petrol chainsaw, you need to decide what primarily you’re going to use it for. If you mostly need to do heavy jobs and cut thick and dense trees, power and weight of the tool are essential. The more powerful the engine, the better and the quicker the tool will fell the trees. However, if the scope of work is not that big, you can opt for something less powerful. 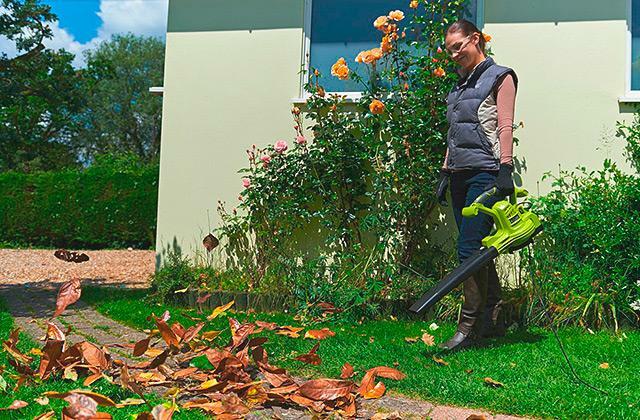 A powerful engine will help you do most garden jobs like cutting dead tree limbs, sawing the firewood and doing minor repairing works. Every petrol-operated chainsaw has a 2-cycle engine, a fuel tank and an oil tank to grease the gear and bar. 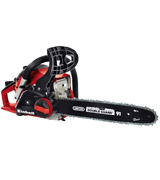 Petrol chainsaws also vary in the length of the bar and the chain. The bar length determines what kind of trees the tool is able to saw. For example, a tool with the 18” bar will easily fell a tree of 15” diameter thick. Sometimes customers combine bars of different models and that’s what may lead to damage of the engine. The bar should be of the right length and it should be tightened properly. The chain adjusted to the bar influence performance as well. Consider the chain pitch (a distance between the nearest pitches) to see how effectively the chainsaw will do the job. 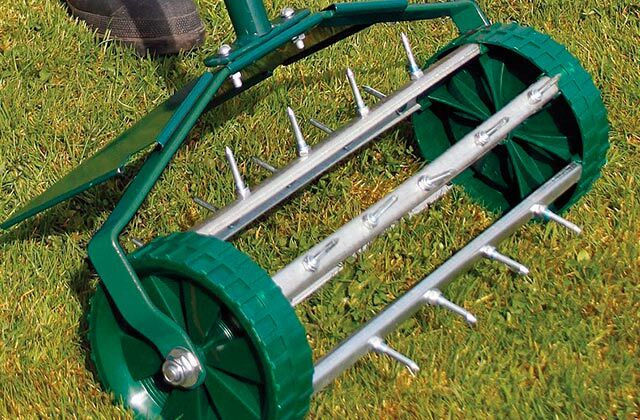 The minimum chain pitch of a saw is equal to 0.325" which is perfect for small garden jobs. It doesn’t produce a lot of noise and reduces vibration. Professional models have 0.375" and 0.404" chain pitch. They aren’t as quiet yet more powerful and effective. A chainsaw is a risk-prone tool and hence, safety of use is more than important. The most dangerous situation during operation is a kickback, when hard material gets in the way of the bar. To eliminate the risk of any injury, it’s essential to quickly stop the chain, and doing so is possible with the inertia brake. 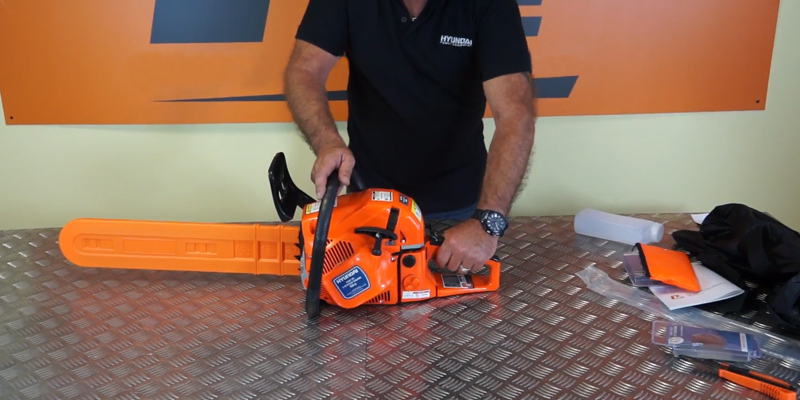 Every petrol chainsaw is different and unique, so look for the features that will make usage more comfortable for you. Ergonomic design and a light frame will reduce fatigue and strain in the back while the quick start will let you get the saw to work immediately. You may want to consider technologies that reduce harmful emissions in the air during operation. Automatic oil supply and minimised vibration are also presented so that anyone can purchase just what he needs. 1. How to Sharpen a Chainsaw, wikiHow. 2. Chainsaw Buying Guide, Lowe's. 3. Tim Rutherford How to Choose a Chainsaw, MySears. July 8, 2015. 4. Brett Martin How to Sharpen Your Chainsaw Like a Pro, Popular Mechanics. Jul 22, 2016. 5. How to Choose a Chainsaw, Canadian Tire. 6. Chainsaw Buying Guide, eBay. 7. Best Chain Saw Buying Guide, Consumer Reports.